Cost to register is $150 before Jan. 12 and $175 afterward. Oregon Bee Atlas and Master Beekeeper members can register for $75. Some subsidies are available. The PNW Pollinator Summit and Conference is geared towards professionals who are looking to build pollinator programming in their area. If you are interested in learning how to help pollinators in your backyard or garden, we encourage you to check out the BEEvent Pollinator Conference on Saturday, March 2, 2019 at the Linn County Fair and Expo Center. $150 before Jan. 12 and $175 afterward. 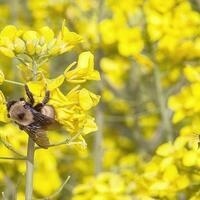 Oregon Bee Atlas and Master Beekeeper members can register for $75.